The current energy supply of human society is based on fossil fuels like coal, oil and gas which are related to several problems. The reserves are decreasing and their final depletion seems to be just a matter of time. Several approaches have been made to replace fossil fuels by sustainable techniques. Up to now none of these were able to fully replace fossil fuels. From all available renewable energy resources, solar energy will be the only known source that provides sufficient energy to meet the increasing energy demand of humanity. Solar radiation however is most abundant in remote locations and has substantial fluctuations over short and long timescales. Therefore cost effective energy storage and transport is just as important as energy generation. 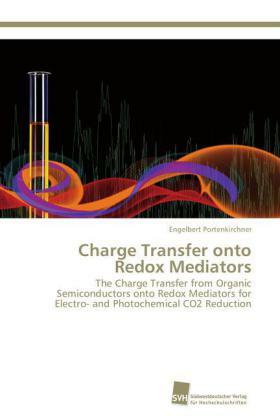 In the presented work the aim is to investigate the reduction of carbon dioxide to various desirable energy storage products by establishing a system that provides an electron transfer from an organic semiconductor onto a redox mediator. Such a system would mimic photosynthesis which is demonstrated magnificently by nature over millions of years.